← Max’s Restaurant Partners with Body Shop for a Pampering Mother’s Day Treat! Late Lunch at Pepper Lunch! It was almost 4’oclock when we had our lunch last Saturday, May 5, 2012. That’s because it took us long to be attended by an EENT doctor at Makati Medical Center. We went to her clinic after hubby’s check-up with his gastroenterologist, but by that time, there were already a lot of patients in the list. We asked the cab driver to take us to SM Megamall because hubby needed to go to BDO first. That’s when hubby also suggested Pepper Lunch. We’ve eaten at Sizzlin’ Pepper Steak before, but never at Pepper Lunch (hubby has eaten here with his officemates already), so that was my chance to try this place. The prices of food between these two restaurants are comparable. 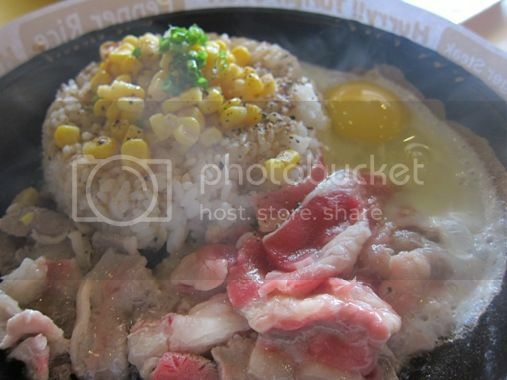 However, Pepper Lunch at SM Megamall is so much bigger than Sizzlin’ Pepper Steak at Robinsons Galleria, and I liked that! Dining in is so much more comfortable when you have enough space to enjoy your food in the company of family and friends. 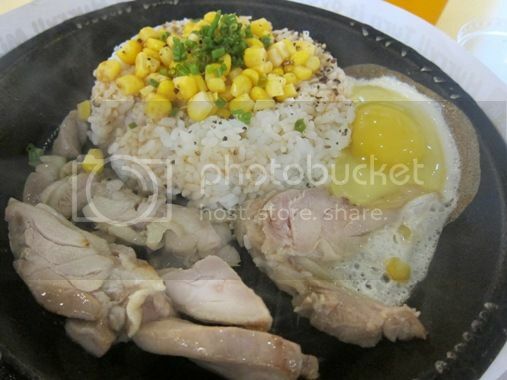 Now, what do we have to say about the taste of food at Pepper Lunch? I wanted to eat this as fast as I could, but it was too hot. I was actually the last one to finish my meal. For one, I could really taste the pepper in the rice. The chunky chicken pieces were also very tender and seasoned well. I also discovered that their honey brown sauce enhances the flavor of this sizzling chicken dish. This is similar to my order, except that it didn’t have an egg. This one was for Justin’s yaya. She said this was delicious even without the honey brown sauce! This was hubby’s order. He said the beef slices were tender and full of flavor. He tried two sauces, the garlic soy sauce and the honey brown sauce, and he said he liked the honey brown sauce better. 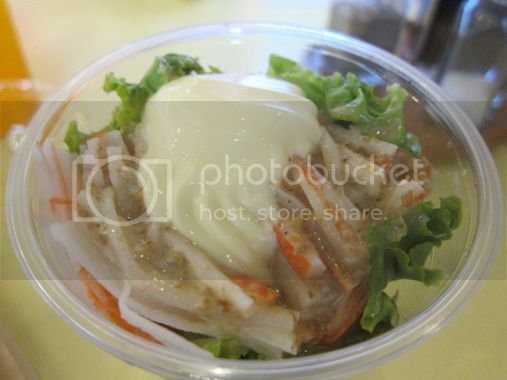 This Kani Salad on a cup is one of their Shake! Shake! Salads. As the name suggests, all you need to do is shake the cup before eating the salad. I like this the least because it was a bit salty. If you’re wondering what the little boy had for lunch, well, he had Chicken McNuggets. He wasn’t as famished as we were because he and his Dad had two cheese rolls each from Mary Grace while waiting to be checked by the EENT. Because we enjoyed most of what we ordered, we will surely come back again to try the other specialties of Pepper Lunch. This entry was posted in Food Friday, Food Trip Friday, Japanese Cuisine, Pepper Lunch, SM Megamall. Bookmark the permalink. 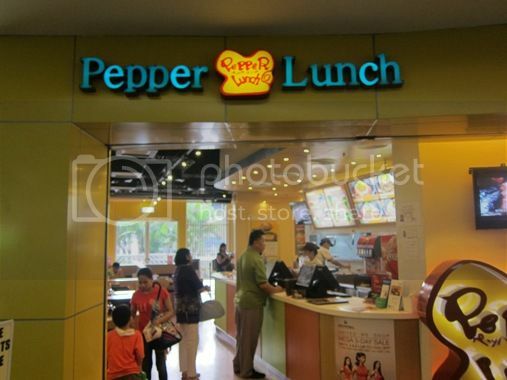 10 Responses to Late Lunch at Pepper Lunch! have a happy weekend ahead. and, oh, happy mother’s day to you. Have to check this place out next time I visit Manila. Thanks for sharing. wow, that looks like a hefty serving! perfect for someone who’s really hungry! I’ve always loved Pepper Lunch. 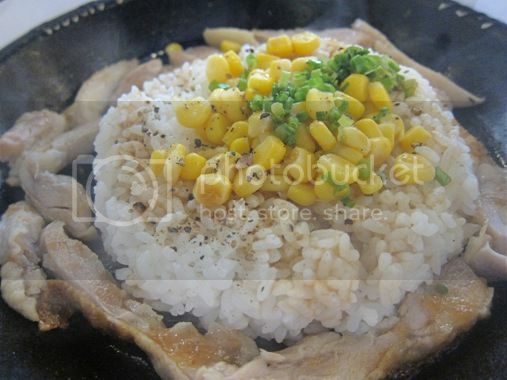 Between this and Sizzling Pepper Steak, I’d go for Pepper Lunch. Hands down. I find the flavors of their dishes better. But more importantly, the sizzling plate stays hot for long unlike in Sizzling Pepper Steak that I end up getting uncooked meat since the plate cools really fast. The beef pepper rice with egg looks delicious!